I had been putting off posting an update on our remodel here at the ranch, but realized the holidays are right around the corner and I better get movin’! The finishing touches are being put on the kitchen just in time for me to start dragging out the Christmas boxes. 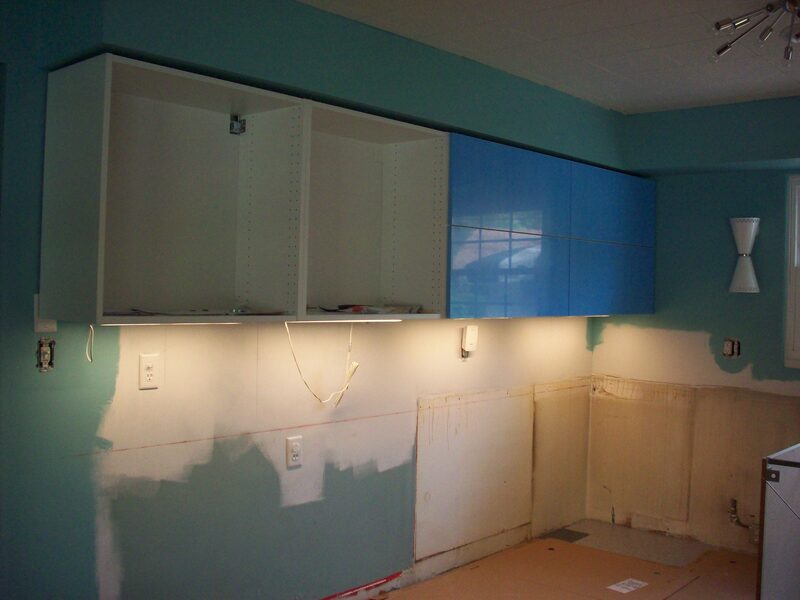 The cabinets, hardware, appliances, sink, faucet and under cabinet lighting are all from IKEA. For the style, storage options and price you just cannot beat their 20% off sale. 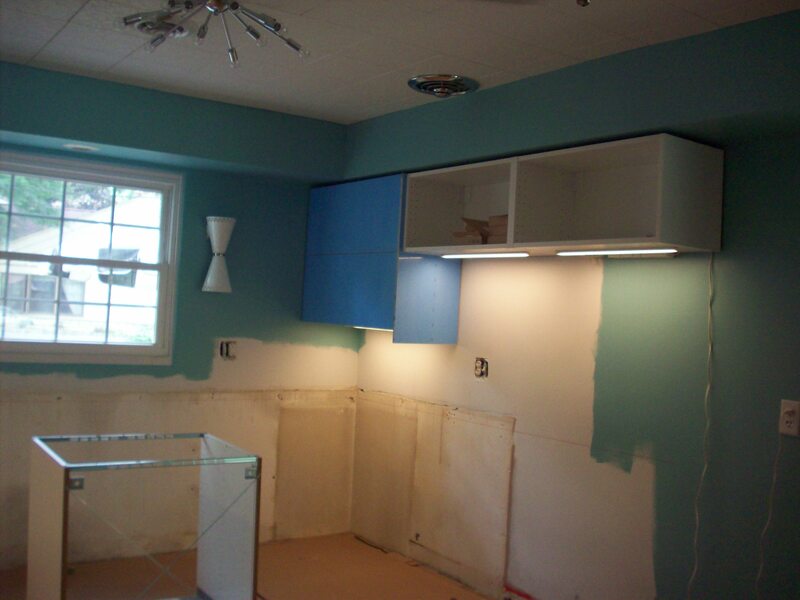 Their white thermofoil cabinetry reminds me of steel cabinets and gave me the futuristic look I wanted. I designed the kitchen using their online planner and took into consideration our lifestyle and era of the home. 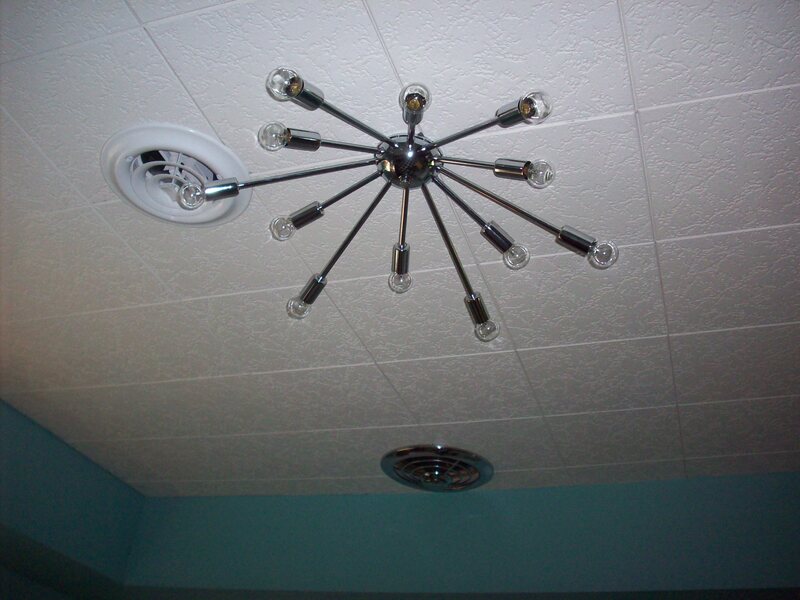 The sputnik light fixtures are from Practical Props and the sconce lights are Havana from Jonathan Adler. 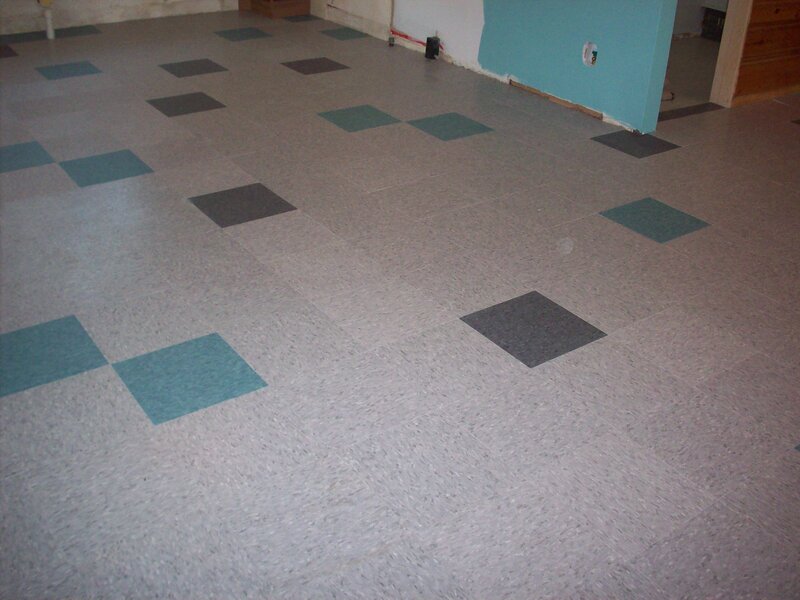 The flooring is Armstrong commercial VCT in charcoal, gray and teal. I had it professionally waxed after installation. 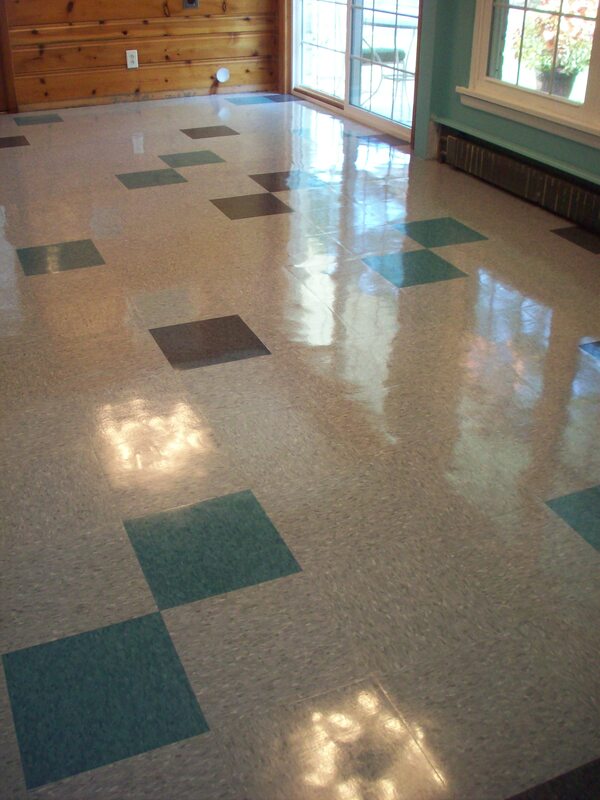 The original ceiling tiles were stained and damaged and no longer manufactured. 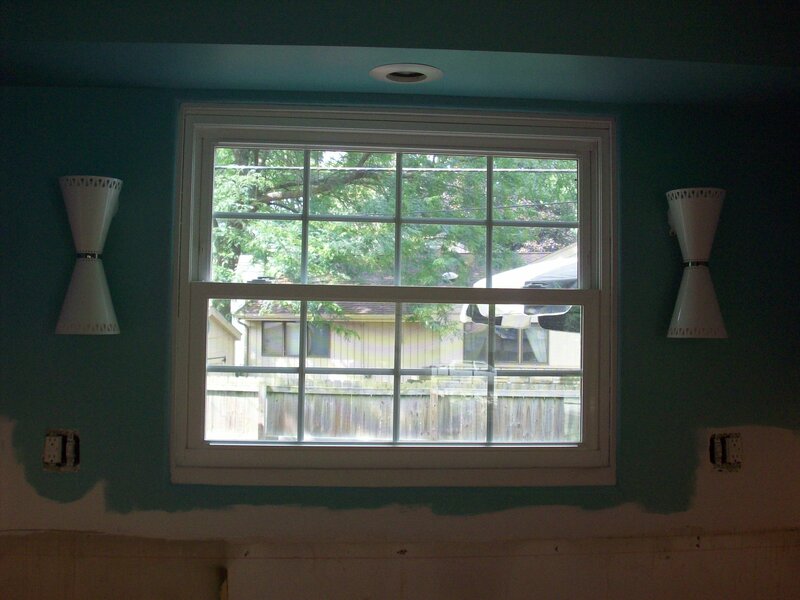 We replaced them with a similar style that were special ordered from Menards. The silver starburst decals I added to the soffits were purchased from Etsy. The pinch pleat window coverings were made from 20 yards of vintage atomic fabric I also purchased on Etsy a few months ago. 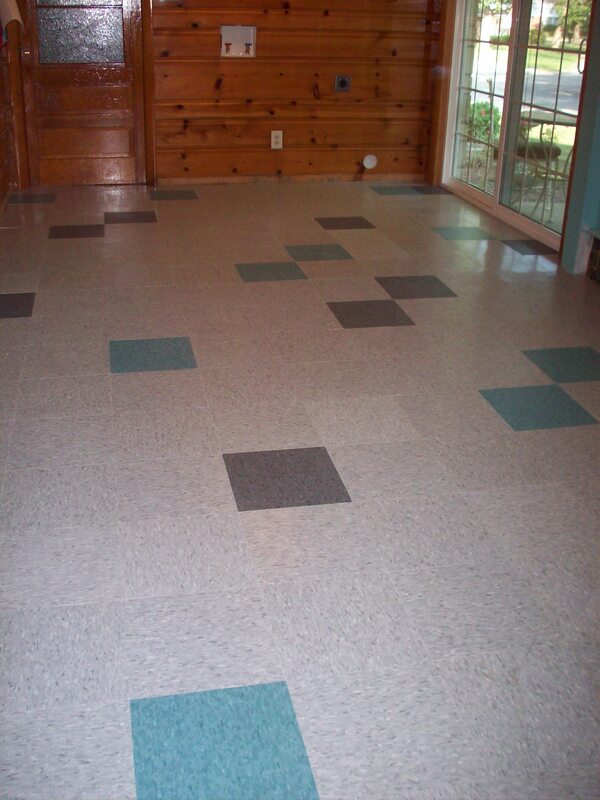 The retro inspired counter top and back splash is Betty from Wilsonart. We used aluminum trim where the counter meets the back splash to give it a more mid century feel. We purchased a NOS chrome exhaust fan grill cover off of eBay. It fits our original Emerson Pryne fan perfectly. We kept the original knotty pine walls in the mudroom and I used Ikeas stainless cabinetry in there. We opened up the kitchen into the living room and added a coffee bar on the kitchen side and a snack bar in the living room. I can now see the fireplace from the kitchen! Hubby and I have eaten plenty of lunches at this counter. I will soon be putting up the Christmas decor and planning for a swanky holiday party. Check back soon to see all of my kitschy holiday decor!